– some thoughts on what is called populist success story. In my impression, Cuba is the place of beautiful scene and people. It’s a good choice … . Although my impression is only come from the movies. But I believe the beautiful sea and sunshine will be very helpful for good mood. But on the occasion of my visits I did not only enjoy the scenery, the most exciting, vivid culture, the openness of the French ambassador, opening with the artists a mural on the walls of the embassy and … well, I experienced the difficulties, some but by no means all caused by the embargo, saw the poverty but also the pride, the commitment and hope of so many people whom I joined for the celebrations of the first of May – yes, some had not been too excited about getting up at three or four in the morning, and still they turned up, most if them committed. Anyway, there is something we may think about, ca. one week after the elections in one of my ex-home countries which got the criminal B, back onto the main stage, and one day after the elections in Cuba. Admittedly there had been some banal hitches before the elections, not denied by the Cuba’s National Electoral Commission (NEC). But there is another thing: the elections, the electoral process can well be taken as an anti-populist warrantor. Again, no paradise … but have a look, here in comparison of the system in Cuba and the USA. Cuba has different mechanisms to ensure popular participation both as electors and candidates. Important is not only the high level of representation in Cuba, and the fact that it is truly a bottom-up process but also that it is very much about a discursive process not parties standing against each other but candidates developing on the local level together with the people their common programme. Well, there may be a bit of Jesuit-Franciscan element: elections understood as part of the camminare insieme, part of the work-walking together. Doesn’t such approach take much of the soil on which populism grows away: the soil of competing for power to govern the people, allowing to establish a solid ground, on which the people stand together? – have highlighted some relevant socio-economic issues, however they failed to acknowledge that democracy is not about serving the people but about the people saying and doing. See in this context as well earlier, general reflections on populism and as well here. And here more recent news on Cuba. Un total de 177 economistas de universidades españolas e internacionales ha suscrito un manifiesto que reclama el fin de las políticas de austeridad en España y en Europa, y pide el voto para la candidatura de Unidos Podemos a las elecciones generales del próximo 26 de junio. El texto —que firman expertos como Thomas Piketty, de la Escuela de Economía de París; Viçenc Navarro, de la Universidad Pompeu Fabra (ambos asesoraron a Podemos con su programa); o Ann Pettifor, asesora del líder laborista Jeremy Corbyn— asegura que el programa de la coalición “servirá para poner punto final a las políticas de austeridad en España y, con ello, servirá también para abrir un nuevo tiempo en Europa”. …. The plan, opposed by three in four French people, according to pollsters, has provoked weeks of often violent demonstrations and added strains on police who were already stretched by extra security duties in the wake of last November’s deadly Islamist attacks on France. Haircut or “Grexit“? Two weeks before the early elections in Greece where the left coalition Syriza stands to win a majority, the German media are concerned with little else. Axel Troost, the financial policy speaker of the parliamentary group DIE LINKE in the German Bundestag, met with leading Syriza politicians. In this interview, he explains why a debt cut is not the most immediate issue, and how Syriza aims to re-build the mismanaged Greek state. The primary challenge, he says, is an end to the devastating austerity policy. Interview with Axel Troost, member of the German Parliament …. Further references are omitted and can be found in the original; and it has to be emphasised that similar denialism can be found not only also in Spain but in Italy and …. – and in some way also in the so-called rich countries, thigh the situation is by no means as bad as in Greece. Frightening as it is, the situation is made much less bearable if we look at the various denunciations and rebukes of Greek claims to return to control of the countries situation and to reject the external control under the heading of Washington consensus and Troika. Die Euro-Krise scheint vorbei zu sein. Zumindest haben sich die Finanzmärkte beruhigt, auch wenn der Wechselkurs gesunken ist und die Wirtschaft in den südlichen Krisenländern der Europäischen Union nach wie vor darniederliegt. Aus dem politischen Raum droht daher großes Unheil für das europäische Projekt. … the high risk that the left socialists of the party SYRIZA will be elected. … mit dem hohen Risiko, dass die Linkssozialisten von der Partei Syriza gewählt werden. The rest of Fischer’s comments show that he lost his sense for assessing what is important and real (well, perhaps her never had it). that the resentment of the Italians is increasingly not solely directed against austerity policies, but also against the Euro itself. And if the Italians are captured (by Anti-EU/nationalist sentiments, P.H.) we likely will also face a crisis in France. der Unmut der Italiener richtet sich zunehmend nicht mehr nur gegen die Austeritätspolitik, sondern auch gegen den Euro als solchen. 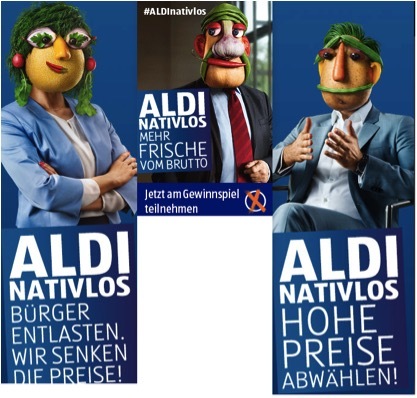 Und wenn Italien erst einmal erfasst wurde, dann droht eine französische Krise. As said, democracy is dangerous. But a factor of utmost importance is that there had not been any democracy yet when it comes to the EU and Euro-policies – taking a metaphor: It had been a one-sided European strategy, geared towards the establishment of a fortress of which the walls had been standing firm against those who wanted to enter, but also standing firm against the Landsknecht, sacrificed on the altar of competitiveness. Then, if the colorful uniforms of the European army fall and are burning in the ablaze of the failed strategy of enhancing competitiveness, we should not be surprised by nationalism and fascism.